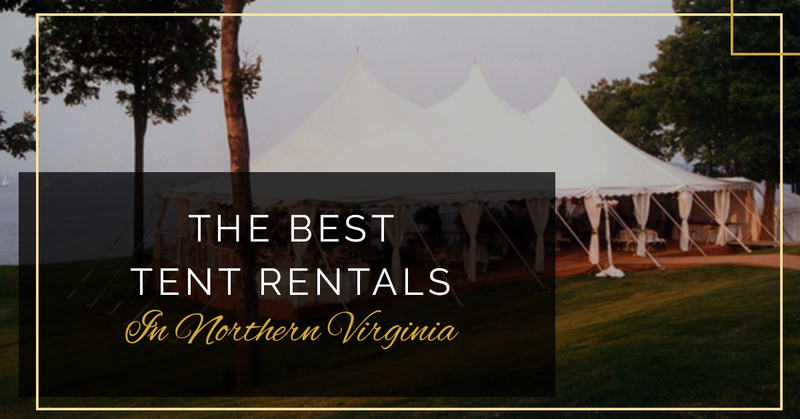 Signature Event Rentals is your source for tent and canopy rentals in Northern Virginia. When you rent a tent from Signature Event Rentals, you can count on receiving a quality product at a great price. Whether you are renting a tent for a wedding, corporate event, family reunion, or another event, we’ve got you covered with various tent sizes and styles available. From whimsical pole tents to no-fuss structured frame tents, we’ll work to meet your needs and vision. Our knowledgeable and friendly staff are always available to answer your questions to help you find the exact tent you need to ensure a wonderful outdoor event. When it comes to any of our rental products, safety is always our number one concern. When you reserve a tent rental with Signature Event Rentals, you can count on our experienced crew showing up on time to securely set up your tent so you and your guests can enjoy a hassle-free party. At your outdoor wedding, the tent shouldn’t simply be an afterthought. It should function as part of the beauty of the event. Our pole tent rentals with scalloped edges create an elegant and whimsical environment for your Northern Virginia wedding. If you’ve been searching Google for “tent rentals near me,” you’ve come to the right place! We are happy to be your go-to service when you need to rent a tent in Washington D.C. or the surrounding areas in Northern Virginia. Best of all, we are your one-stop-shop for all of your party rental needs. We offer everything you need to ensure your event goes off without a hitch, from tents, tables, chairs, and linens to bouncy castles and speaker systems — and everything in between! Plan your next event with Signature Event Rentals. As your Fredericksburg party rental professionals, you can count on us to deliver excellent service and beautiful rentals to your next wedding, picnic, or corporate event.